Cleveland, OH. (June 27, 2007) Lorain County’s own NASCAR Craftsman Series Super Truck Driver Ben Ebeling and Jesus Hernandez, participant in NASCAR’s “Drive For Diversity” program will share their love of NASCAR and their experiences in the exciting world of Auto Racing with boys and girls attending the City of Cleveland’s Camp Forbes, Friday, July 7th at Noon. Approximately 250 boys and girls, ages 8 through 12, are expected to take part in the event, part of a day long summer day camp experience for children taking part in the City of Cleveland’s summer recreation program. Both Ebeling and Hernandez will appear in their racing apparel, alongside one of Ebeling’s racing vehicles; his #44 Dodge Super Truck. Both men will talk with the youth about learning more about the sport of auto racing and exploring the possibilities of making a career in NASCAR. Camp Forbes is located at 25440 Harvard Rd in Highland Heights, Ohio. 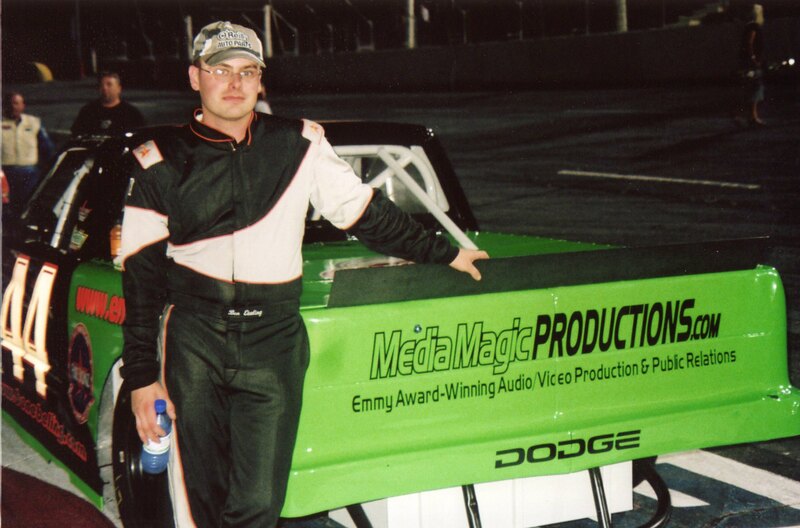 “All I wanted to do, since I was four was race cars”, says 26-year old Ben Ebeling, who now resides in Hickory, North Carolina, in the heart of NASCAR country. “When I was little, I started building and racing Go-Karts and when I hit my teens, I started building and racing my own stock cars at local tracks. I didn’t have a lot of money, but when I graduated from high school in Lorain County, I moved to Hickory Grove, to fulfill what I believed to be my destiny- to be a driver on the NASCAR circuit. NASCAR’s been good to me- now, I’d like to come back to Northeast Ohio and share some of the thrills of NASCAR racing with young boys and girls in urban areas who might not be familiar with the sport.” Ebeling enjoyed a successful 2005 season, highlighted by his first career win at Hickory Motor Speedway in his Late Model Super Truck, a runner-up finish in South Boston’s Fall Spectacular100 lap event and numerous top five finishes at HMS and Motor Mile Speedway. Ben also works for the Roush Racing Team. Jesus Hernandez of Fresno, California, returned to NASCAR racing this year for his second season as a Drive for Diversity participant. He finished 2005 with one top-five and six, top-10 finishes. . Hernandez joined MB2 Motorsports this year. The NASCAR organization is committed to attaining greater diversity within its organization and throughout the industry. To help with this endeavor, and assist in growing the industry’s representation of communities of color, NASCAR has created the Drive For Diversity program. The Drive for Diversity program, run by Access Marketing & Communications, seeks to develop diverse and female drivers and crewmembers. In 2006, eight drivers earned a place in the Drive for Diversity Program and will drive in either the NASCAR Dodge Weekly Series or the NASCAR Grand National Division, West Series. Last year, twelve crewmembers earned jobs in the NASCAR Craftsman Truck Series and NASCAR Busch Series. NASCAR’s Diversity Internship Program provides meaningful opportunities for young, qualified candidates to work with NASCAR’s sanctioning body, NASCAR sponsors and licensees, NASCAR teams and tracks, and other motorsports-related companies. Much of the success of the Drive for Diversity initiative is a result of support for the program by key sponsors and involved team owners. For more information, visit www.drivefordiversity.com.